baldorf Nation starts here. Watch the official baldorf “how-to” video below and start your journey to baldorf Master. 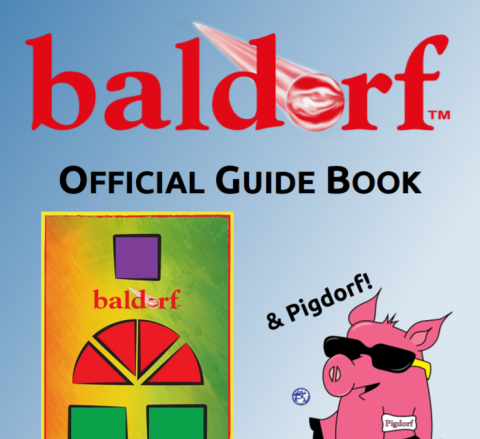 Download the Official baldorf Guide Book to learn how to play baldorf and Pigdorf and find out what the difference is between a bouncy ball and a dorf. What is baldorf? It’s a game created by two U.S. Peace Corps Volunteers while they were serving in Jamaica. Upon their return to the U.S., the two formed the non-profit charitable organization Mystic Rhoads Productions (MRP), and developed baldorf as an MRP product. In its simplest terms, baldorf is a game played on a court where players use a ball and athletic ability to score points over 3 innings. Yet the game serves a wider purpose in helping MRP empower communities by supporting great deeds. MRP sells baldorf game sets and uses the profits to support charitable causes. baldorf game sets are donated to youth organizations that meet our mission, with a majority of donations occurring around the holiday season to kids in need. More than just a game. A culture. A way of life.